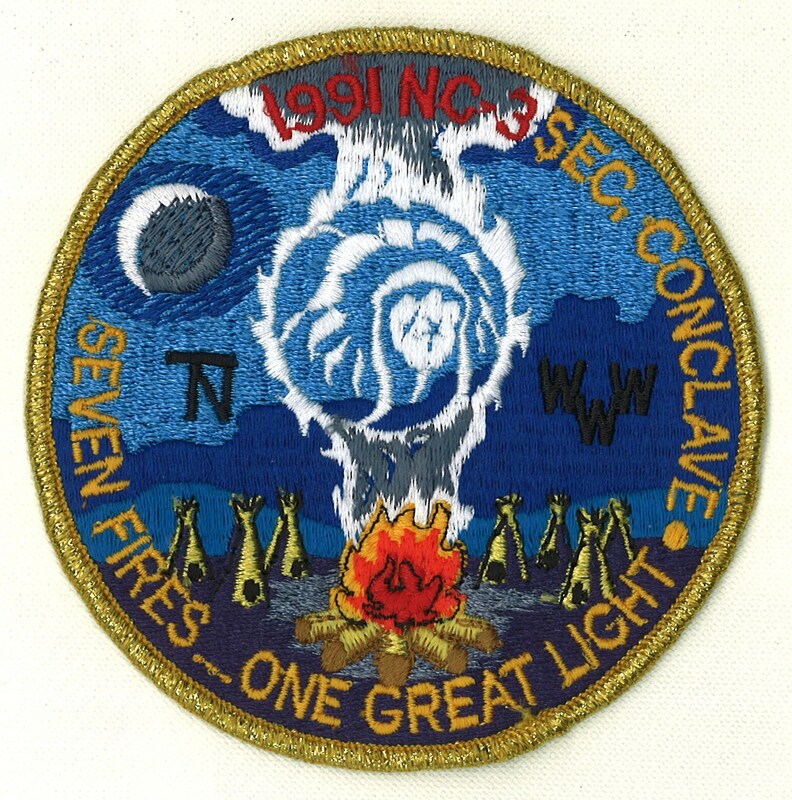 Nineteen years ago I was on staff for the 1991 NC-3 Order of the Arrow Section Conclave hosted by Tamegonit Lodge at Camp Naish. Following are three patches issued for the event. The first is the standard participant patch (purple border), next is the staff patch (silver mylar border) and then the key three patch (gold mylar border). Each staff member and key three member was only given one of the mylar versions. My dad and I each earned one staff patch at the event. 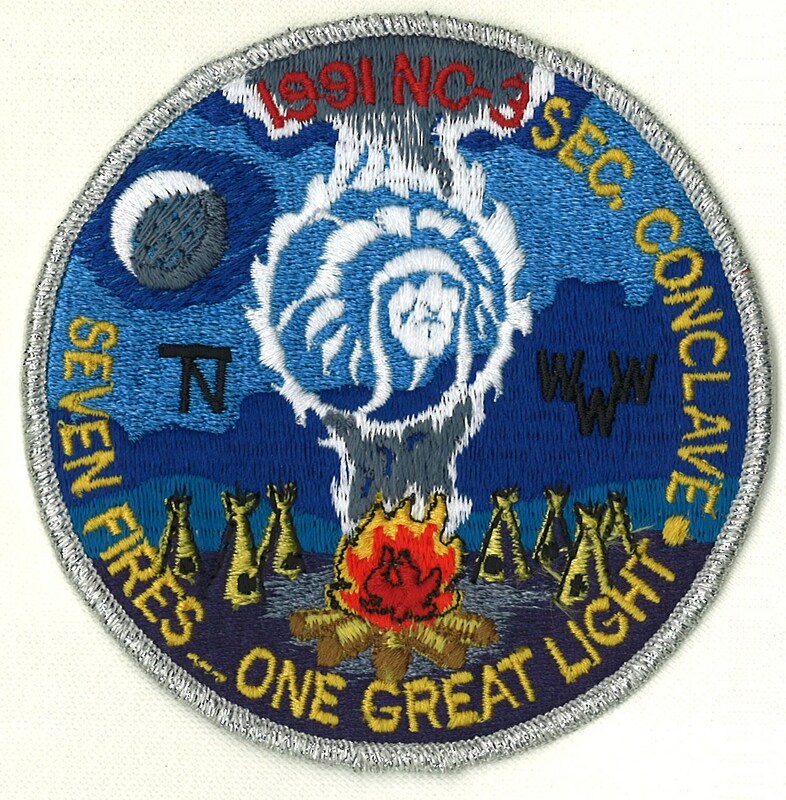 In addition to the patches, a participation pin was also available for those who satisfied the established requirements. 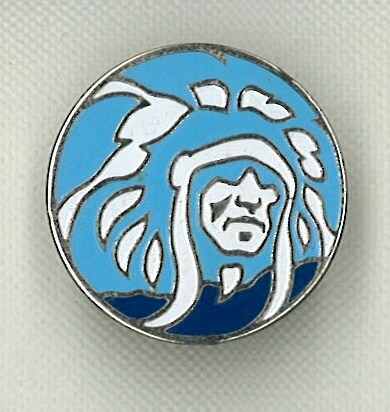 The pin is pictured below as well. Tamegonit Lodge also hosted section/area conclaves in the following years: 1956 (8-D); 1961 (8-D); 1978 (NC-3C); 1985 (NC-3); 1991 (NC-3); 1996 (C-6); 1999 (C-6); 2000 (C-6); 2007 (C-5B). Also, when Tamegonit has hosted the event, more often than not it has not been held at Camp Naish. Naish was used in 1978, 1985, 1991 and 2007, but in other years the event has been at other locations such as Bonner Springs (1956), the University of Kansas (1961), Whiteman Air Force Base (1996 and 1999) and Fort Leavenworth (2000). 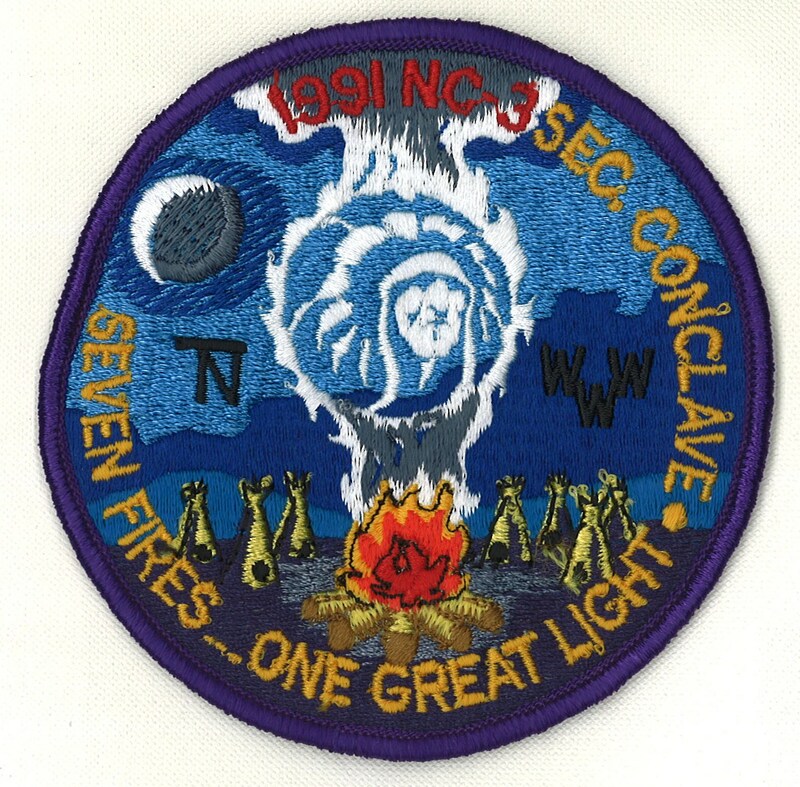 You might be wondering where to find additional information (including scans of patches) about Section Conclaves attended by Kansas lodges…look no further than: http://scoutingkansas.org/ksconclaves.aspx. Mike has done a great job of compiling information on the many Kansas sections and their events. Check it out! Mike also plans to expand the site to include information about Kansas Boy Scout Camps and Section Conclaves.